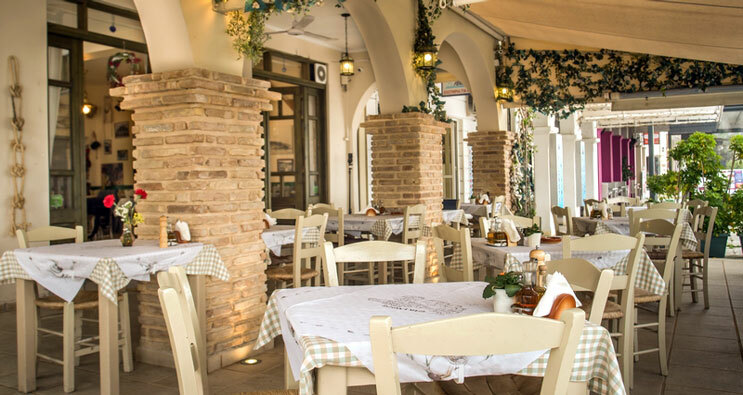 With tasty combinations based on pure Greek products of Greek nature and the Mediterranean, restaurant "Prosilio" in Zakynthos town promises a delicious tasty journey for those who choose it. "Prosilio" has a minimal decoration and cozy atmosphere. 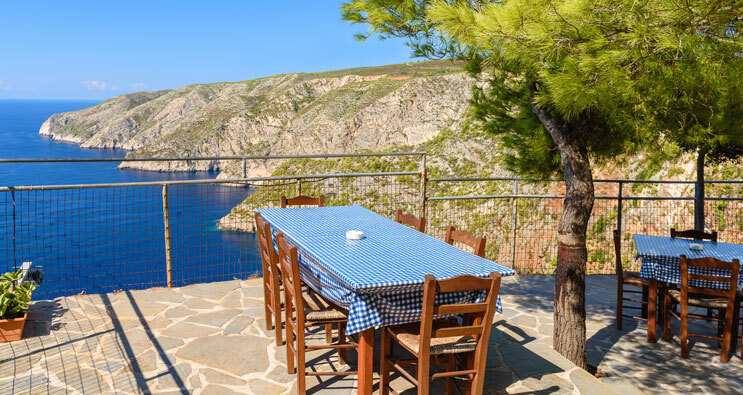 One of the most famous taverns in Zakynthos, with good food, family atmosphere and incredible views, is that of "Mihalis" in Kampi. Near the edge of the cliff, the customers will enjoy delicious homemade dishes and take photographs of the breathtaking scenery. 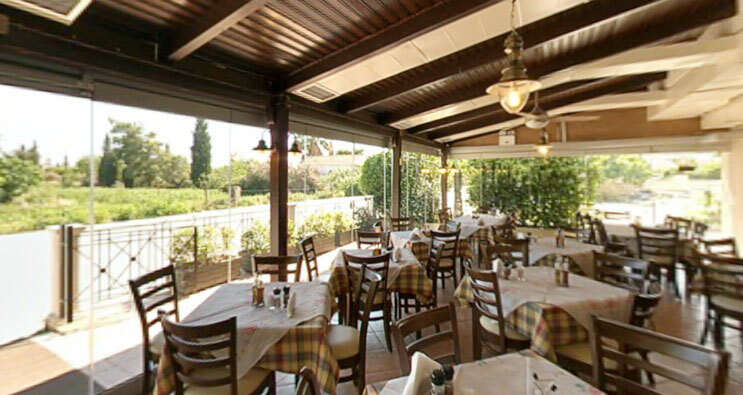 In the area of ​​"Kipi" in the outskirts of Zakynthos town, there is the traditional tavern "Malanos". For decades, the friendly and family atmosphere and the traditional Zakynthian cooked or grilled food, have been the trumps of "Malanos" tavern, who continues with the same insistence on pure material. The musical tradition of the island is great and serenades with “Arekia” are inherent in it. In the tavern "Varkarola" the troubadours join with the customers and the nights are unforgettable. 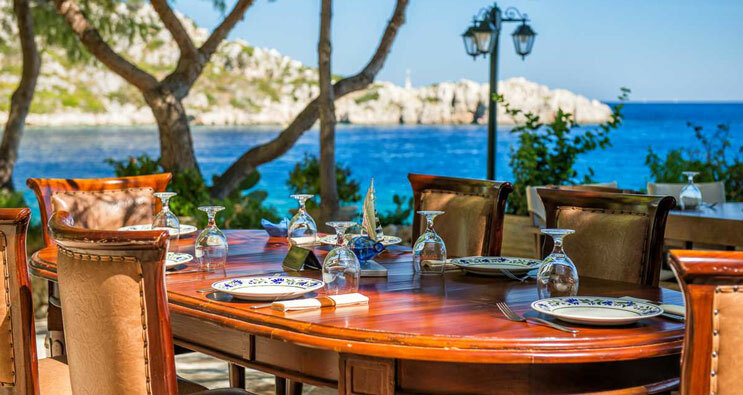 The cuisine is based on the traditional dishes of the island and rich flavor is the main feature. Close to the famous Blue Caves in the northeast of the island, lies the area of ​​Saint Nicholas (Agios Nikolaos). 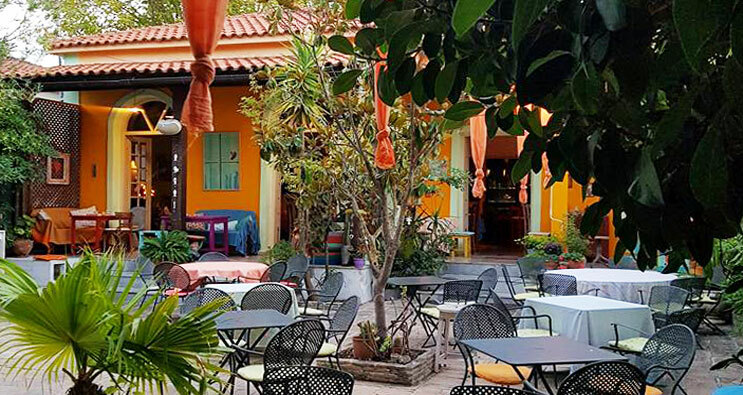 This is where the Bio Restaurant - Bar "Nobelos" is located, open all day serving from breakfast to dinner with dishes prepared with organic products. 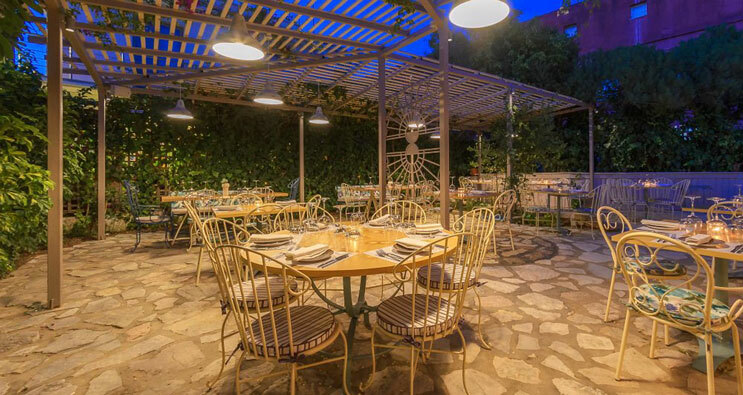 Homemade jams, fresh fish and meat cooked in wood ovens offer authentic Greek flavors. You can enjoy either a drink or a meal in a very traditional, homely and hospitable atmosphere. A garden that boasts summer and Greek flavours: this is the Portokali venue in Argassi, which opened in the summer of 2003. Since then, anyone who has visited the place has become a fanatic customer. A venue where the guests will be enchanted by delicious dishes from a grandmother's, mom's or beloved aunt's recipe book, always with fresh ingredients, and will enjoy their drinks under the stars of the summer sky, while listening to great alternative music.